WARMTH AND CHARM. Admire the facade of this 1909 porch front, then discover a spacious home offering 3+ bedrooms, 2.5 baths and more than 2,150 sq. ft. of finished space. This home offers a Traditional floor plan with separate living and dining rooms. Abundant original woodwork throughout, loving preserved over the years. Large backyard with PARKING. 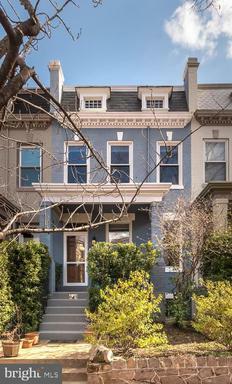 A superb package, on a quiet block, in a convenient Hill location.